Being a trend follower means having the required patience to wait not only for entry signals, but exit signals as well. This gets round the issue of trying to pick tops and bottoms in a stock - you simply wait for the system to tell you when to get in and out. 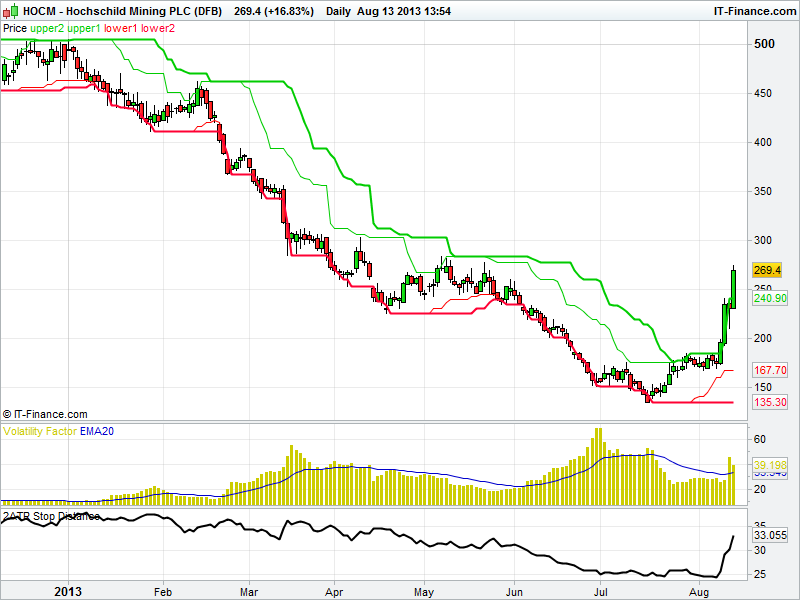 Here in the UK, the larger mining stocks have predominantly been in a downtrend all year. This somewhat mirrors what has occurred in gold and silver. However, the signs are that things are starting to turn round. After mentioning it a couple of weeks ago here, Silver finally broke out to the upside yesterday (chart below), and a number of the mining stocks have started showing the beginnings of a new trend as well - I've shown the chart of one in particular that has had a strong move. 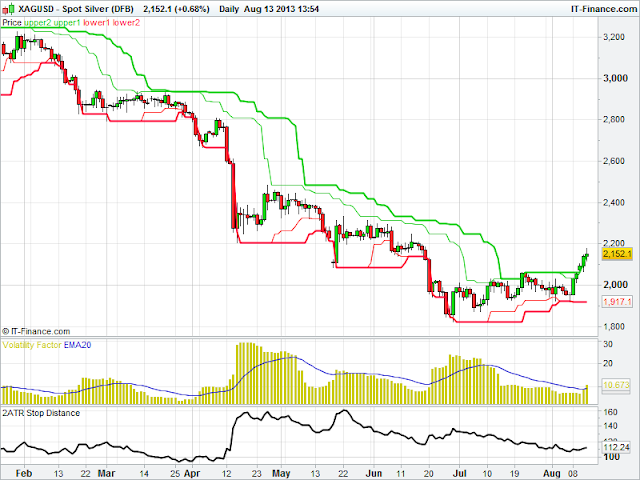 Simply waiting for the appropriate entry signal would have saved a lot of traders a lot of cash! Similarly, once you get into a profitable trade you need to have the patience to let the trend run its course. It is this that helps generate the positive expectancy of a trend following system.